The Bandspec Cape was developed by Mister Antony just for pipe bands. 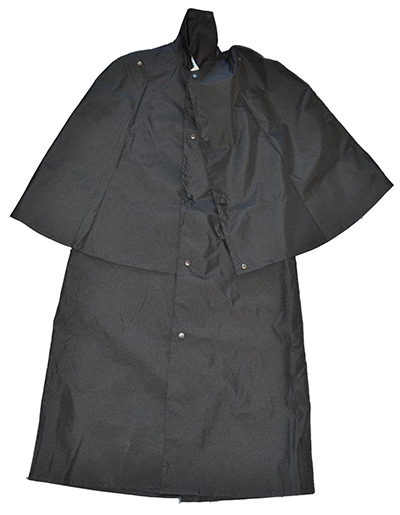 Like the standard Inverness Cape, the Bandspec is GUARANTEED 100% waterproof, but it has been purposely designed to meet the specific needs of both pipers and drummers, with several clever and practical features. Features include convenient storage pockets and a snap system to allow for better performance while wearing the cape. Even the texture of the fabric has been upgraded for feel and appearance.